Hard Disk Sentinel is the perfect data protection solution: it can be effectively used to prevent HDD failure and SSD / HDD data loss because it has the most sensitive hard disk health rating system which is extremely sensitive to hard disk problems. This way even a small HDD problem can’t be missed. Just install, configure alerts and your system is now safe. You’ll be notified about the problems – but if everything is correct, Hard Disk Sentinel just sits on tray and displays current status. The data is protected 24 hours daily, 7 days a week. By using Hard Disk Sentinel, it is possible to start hardware hard disk self tests. These tests can be used to effectively find all hard disk problems because built-in hardware methods are used to verify hard disk components (for example heads, servo, internal buffer in theShort self test). The Extended self test also verifies the complete hard disk surface, finds and repairs all weak areas and re-allocates the possible bad sectors. This is not possible with the software-based hard disk surface scan methods (for example, by using scandisk). View the current health status and used space in Windows Explorer or in any other application, so you’ll always know the amount of used space for each partitions and the hard disk drive condition. Jestem samoukiem w obsłudze komputera i sam muszę poradzić sobie z obsługą. Używam nadal od dawna ( poprzednie wersje ) Hard Disk Sentinel . Bardzo łatwy w użyciu, zainstalowany szybko i ma wspaniałe narzędzia. i ostrzeganie gdy coś niedobrego zaczyna się dziać z dyskiem. Poza tym współpraca z deweloper Janos Mathe na najwyższym poziomie. poznałem jak i na co zwracać uwagę w ustawieniach programu . I’ve been using this for about a year, and found it impressive enough to buy a five computer lifetime license package. A comprehensive drive utility that shows the status of all your connected drives, and does both non-destructive and destructive diagnostics to determine drive health or ‘refresh’ a drive’s formatting. There is nothing that will prevent a sudden catastrophic drive failure, but for most spinning drives and SSDs, it’s a degradation over time that this software will keep track of and inform you of consistently so you can make informed decisions about backup and replacement. I’ve had HDS for many years and it’s saved me from one catastrophic failure that I remember. My onboard 3TB data drive ( companion to a solid state system drive) started losing sectors like crazy after only one year / 18 months so I made sure that I was backing up all the files at least daily to an external drive and got a spare. When the failure arrived I was able to reconstitute all my data on the new drive, which was fortunate because the failed disk was totally unreadable. Now I’m counting the days (111) until the solid state drive fails after 916 days of loyal powered-on service. If you don’t have it, get it! An outstanding disk health monitoring program with many features to satisfy both the inexperienced user and the geeky tweaker. I have it pop up on every boot for a quick drive health check, and it deals really well with both internal and external (USB, eSATA, etc.) drives. Diagnostics will non-destructively scan the disk surface for problems and ‘slow’ sectors, or destructively ‘refresh’ a drive by erasing everything and reformatting the sectors (after warning you TWICE what is about to happen). I really like this utility, have it installed on all my machines at home. Thank you. Köszönöm (thank you in Hungarian). HDDs and SSDs are one of the most important part of a computer. These contain all your data and information including operating system, programs, photos, videos, text documents, music, and so on. Even though the hardware produced nowadays have become more reliable, but still there is always a risk of hardware failure, which could lead to loss of all your important data and information. So, continuous care and maintenance needs to be done, to ensure that HDDs and SSDs are in good health and status. There are many softwares for this purpose, but not all of them are effective and reliable. Hard Disk Sentinel is a reliable hard disk health and performance monitoring software application, designed to prevent data loss caused by possible hardware failure. This too monitors hard drives activity and track it’s temperature, and send a notification as soon as something unusual like overheating takes place. The installer size is ~22MB and the installation process is very simple, taking no time at all. After the installation, the application takes around ~30MB space on the hard drive. The application automatically detects all the drives attached to your PC and upon launching lists them with their name, space, health, and temperature information. At first, the UI seems to be cluttered and overcrowded, and I was overwhelmed seeing a lot of things going on around in a single window with a lot of information being displayed. But using it for a few hours, I realized it’s actually arranged in a great way providing convenience and comfort to the user. The menu bar, as usual, comes with drop-down menus, and the tool bar under it contains icons that lead to different main tools of the application. The lower part is divided into two sections, the left-side lists all the drives and partitions present on them with info like name, space, health, and temperature. The right-side is for detailed information, and it is divided into seven tabs, namely Overview, Temperature, S.M.A.R.T., Information, Log, Disk Performance and Alerts. In the ‘Overview’ tab, brief information on performance and health is shown, including power on time and estimated remaining lifetime. The ‘Temperature’ tab shows the current temperature value, and also the average and maximum temperature of the selected drive. Moreover, there are four graphs showing, current temperature, Daily Average, Minimum and Maximum. ‘Disk Performance’ section shows the transfer rate information, including total data read and write, current, average and maximum transfer rate, along with disk activity. There are two graphs that show Disk activity and transfer rate. Moreover, the information tab displays a lot of information divided into many categories like Hard Disk Summary, ATA Information, ATA Features, Acoustic Management Information, SSD Features, S.M.A.R.T Information. There are several test types that this application allows you to perform on your disk. These are Short Self-Test, Extended Self-Test and Conveyance Self-Test. Tests include Read test, Write test, Read +Write, Read + Write + Read, Disk Surface Test and more. Moreover, the application let’s you configure hotkeys, disk control, message settings, alerts and even the way the hard disk temperature icon will look in the System Tray. 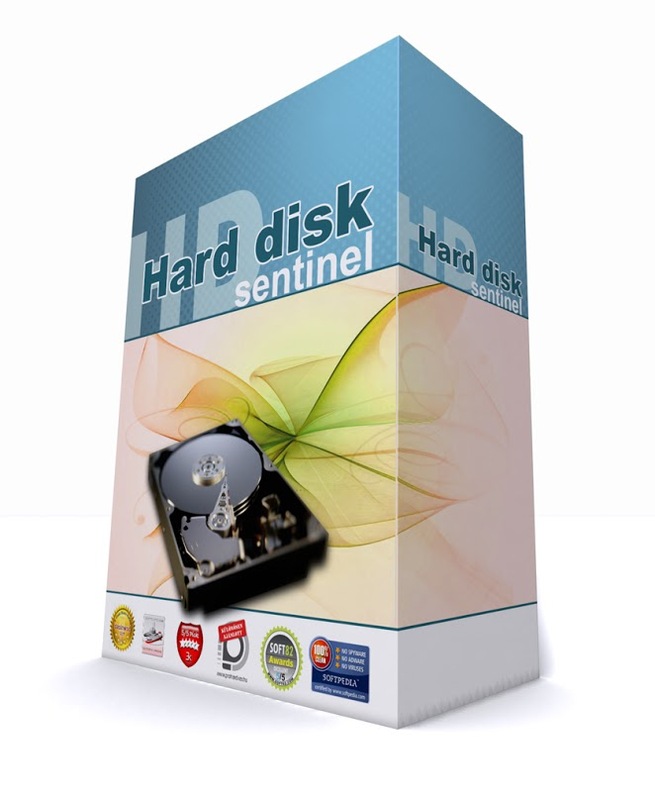 Hard Disk Sentinel is a tool definitely worth having in your PC if you are afraid of hardware failure and data loss. It will keep your disks running healthy and notify you as soon as something goes wrong. I recommend it to all the users. You Should Use external hard drives that are normally disconnected to store backups of your stuff & optionally Windows. The why is simple — ransomware can target files on any attached storage, and it’s not nice enough to let you know your files are in the process of being encrypted, so you know to do stuff like disconnect whatever/wherever you store your backups. And if you use & depend on regular hard drives connected via USB, you need Hard Disk Sentinel [or similar] to monitor those drive temps. Conventional hard drives need active cooling for sustained use or they can get hot enough to effect reliability of the drive itself or the data being written to or read from the drive, though that cooling can be temperature regulated [e.g. in a NAS] rather than constant. Long story short, when a HDD is connected via USB, cooling can often be iffy — use Hard Drive Sentinel to be safe. Adjust the polling interval [I set it to update once a minute], & watch the data &/or graph of the temp in the S.M.A.R.T. data. I’ve been running this version on all my machines for about six months or so (since the last giveaway?). It is a very good safety net with early warning of drive failure where appropriate, displays many useful parameters for your connected drives, can do various tests and configuration changes if your drive supports those, and even predicts length of drives’ life depending on what it finds. Small footprint. I really like it. You may have not experienced a hard drive failure but the experience is common among regular computer users. In most cases, hard disk issues and failures lead to loss of important files and information. Although data recovery options exist, you would want to avoid the process all together. The certain way of doing so is by remaining aware of your drive’s health. While searching for an application that could help me accomplish this process, I came across Hard Disk Sentinel. Here is what I noted while using this program. The installation process is straightforward. After you are through with this process, you would want to configure the program regarding receiving alerts. You wouldn’t go without noticing the rather clustered UI that this program presents. Features and options are notably many, hence that could be the reason for the developer to settle for such an arrangement. However, after you find your way in using the application, you will do a myriad of tasks from finding, testing, diagnosing, and repairing your HDD’s problems. Given my busy schedules, I find minimal time for continuously monitoring my HDD’s performance. Thankfully, I rely on this program’s alert. Be it a major or minor problem, the software will alert you about the same. For instance, if the drive’s transfer speed drops, you will get an alert for the same. The alerts also work for other HDD status, temperature, and health. Apart from the health-related information about your hard drive, Hard Disk Sentinel comes in handy in finding out additional details regarding your drive. Such information include the disk’s rotational speed, physical dimension, firmware, and serial number. Sending you alerts regarding certain problems about your HDD is not enough. Hard Disk Sentinel can take action to prevent data loss. For instance, if your hard disk’s temperature is above the healthy level, the program can shut down your computer to avoid further data loss. It is great that Hard Disk Sentinel presents a load of features. The downside that comes with such an approach is the notable cluttered interface. As such, users miss a nice experience were the interface clean and intuitive. At the beginning, the many options could come across as confusing for novice users. Hard Disk Sentinel is a comprehensive program with useful tools and features to help you monitor various performance aspects of your HDD or SDD. This program further stamps its presence as a go-to tool for your hard disk monitoring through its comprehensive set of information it provides. As a result, you can avoid data loss by heeding to the actions it sends you via alerts. I’ve had this software for about 6 months and have been impressed with it, it does what it claims to do, as it says it will, unlike some other software. It is easy on resources and very useful for those who like to keep an eye on what is happening under the hood as it were. Hard Disk Sentinel is a tool designed to oversee the operations of HDDs, SDDs, and removable devices. It tests, analyzes, diagnoses, and repairs HDD and SDD problems and informs you whenever your disks are performing poorly. This tool has a variety of features including system tray indicators that display the temperature and disk health. It is capable of sending e-mail notifications to notify you in case of critical issues. Installing Hard Disk Sentinel is pretty easy and fast. Once launched, the software displays a homepage that is filled with lots of information about your disks. The interface looks a bit cluttered, especially because of the multiple features included. The first panel of the homepage features a summary of the status of the hard and solid state drives. You can check the temperature, health, available space, and performance among others. Check the temperature of the disks on the second tab –which is handy, especially when you want to know whether the fans are working perfectly. The S.M.A.R.T section uses the performance and health ratings to perform calculations. This section is mainly a preserve of advanced users who know what they are doing to the system. There is also a log, alerts, disk information, and a disk performance feature. Information on disk performance – Hard Disk Sentinel provides comprehensive information about hard disks and solid state drives’ performance. You can easily notice whenever your disk’s performance is declining and repair issues affecting it. The software also provides a whole range of information including the firmware type, hard disk cylinders, disk controller, serial number, physical dimension, time it has been in operation, and rotational speed. Temperature monitoring –The software allows you to easily monitor the temperature of the hard drives. It displays the lowest and highest temperatures recorded, as well as the average for the day, week, or month. Sends alerts about critical issues– Hard Disk Sentinel activates sound alerts when the disk health is low, a failure is anticipated, or the temperature is too high. Use the settings section to enable the software to send you messages on such issues. You can configure hotkeys for easy viewing of the hard disk information. Check the HDD temperature history, configuration panel, and partition information, among many other features. Password protection -If your computer is used by many people, you can apply a password to Hard Disk Sentinel to avoid other users from accessing configuration files. Cluttered UI –Novice users may find it hard to use the software due to its technical feel. The panels are fitted with multiple statistics that make it feel cluttered. 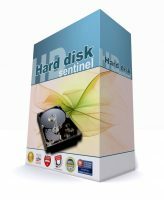 Although there are many free tools that can be used to check hard disks, Hard Disk Sentinel offers way more than they do. It is an excellent tool with rich setting dedicated to monitoring and maintenance of hard disks for novice and experienced PC users.